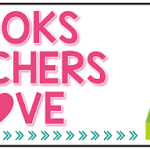 Oh wow I am so excited for this month’s Books Teacher’s Love Post!! 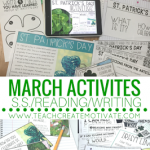 We are talking all things MARCH today! 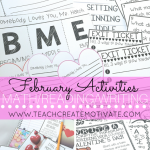 As you know from reading my previous posts, I love using meaningful activities relating to each monthly book I choose. This month I chose, Fiona’s Lace by Patricia Polacco. O-M-G what an amazing book! It is the sweetest story about working hard, moving to America, and how family is the MOST important thing. 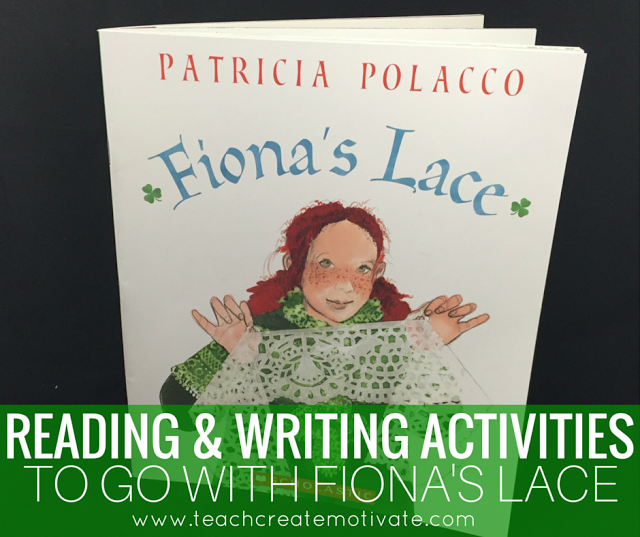 I love a story that teaches academics as well as other things my students desperately need to learn. 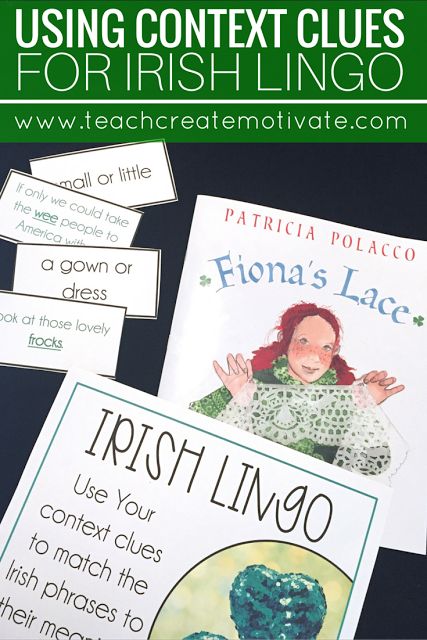 Another activity I plan on doing with this story is having my students practice using context clues to figure out Irish Lingo word meanings!! 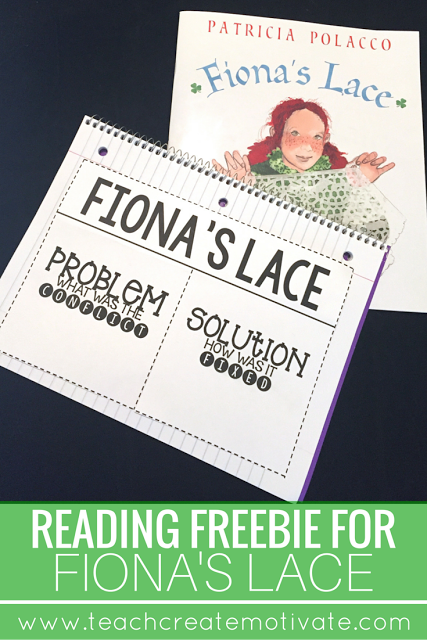 Using context clues is a tough concept for some of my third graders, but I KNOW they will get a kick out of trying to figure out the meaning of words like wee, lass, and frocks! Like I mentioned above, I LOVE any chance to teach other important things to my students. For example, like last month when we talked a lot about kindness in and out of the classroom. 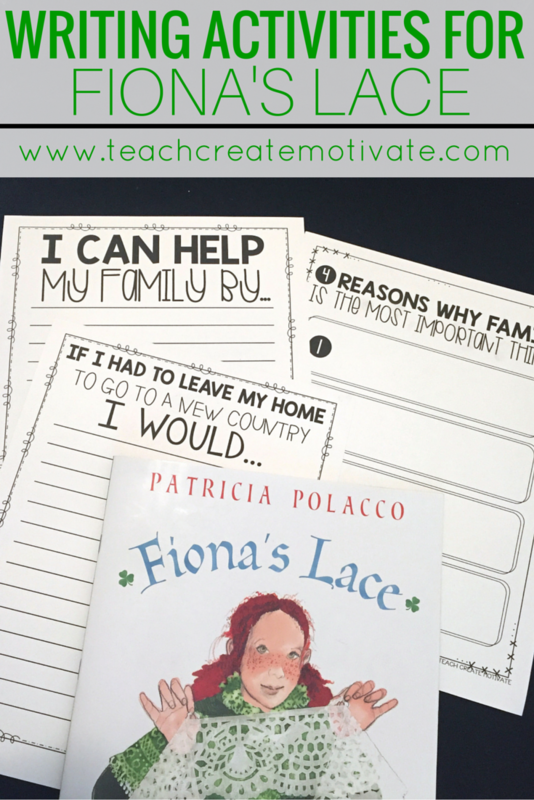 This book is great at teaching about family. How can we better help our family? Why is family important? I decided to have them write about these things as they think on them! 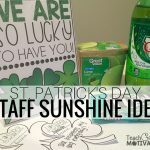 Follow my seasonal board on Pinterest for other fun ideas for March!! 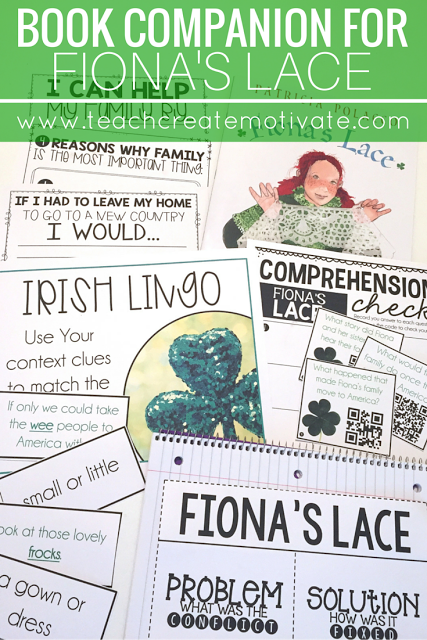 Follow Teach Create Motivate’s board Holidays in the Classroom on Pinterest. Enter to win 4 books here!!! GOOD LUCK!! Previous Post: « Quick & Easy Parent Valentine’s Day Gift!